So then it depends not on human will or exertion, but on God, who has mercy (v. 16). In Romans 9, we come face to face with the doctrine of divine election. What is divine election? The word “election” means “choosing.”  And the word “divine” indicates that this choosing belongs to God. Divine election is the doctrine that God has chosen before creation who will be saved. In verses 14-23, the apostle Paul brings up the two most common questions people ask about unconditional election. “Is there injustice on God’s part?” (v. 14). If unconditional election is true, is God unfair? Admittedly, the questions that Paul raises aren’t easy questions to answer. Divine election is a difficult doctrine. It’s not something we can completely understand (like the Trinity). Before creation God chose who would be saved. How does Paul answer these two questions? Question: “Why does he still find fault?” (v. 19). 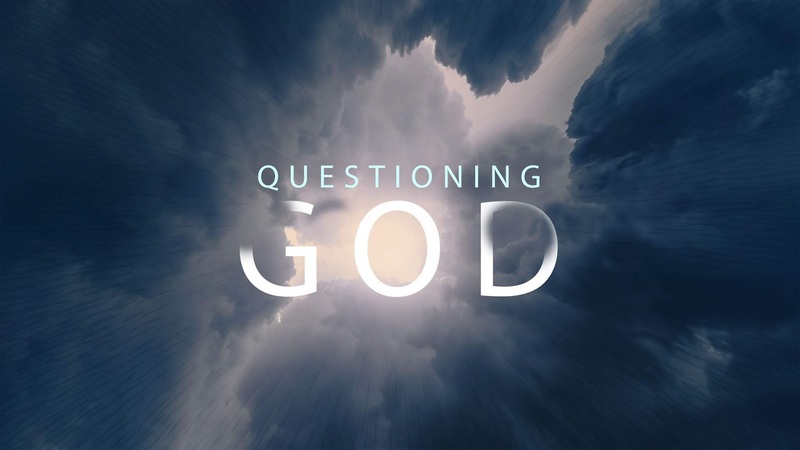 Paul’s answer: “Who are you, O man, to answer back to God?” (v. 20). Basically, Paul is saying that God has the right to do what he wants, and who are we to accuse him of being unfair? Perhaps those aren’t the answers we’re looking for, but we must remember two things. God will never act in a way that is contrary to his nature. If God is good and just, he is good and just in all that he does. Some of the questions we ask have answers we can’t understand. Divine election isn’t in the Bible so that we can argue with one another about it. One reason why the Bible tells us about divine election is to produce humility in us. Who am I that God would choose to save me? I am saved only because of his grace. Who am I that God would allow himself to be treated unfairly—betrayed, mocked, crucified—so that I could be saved? And we are called to show this same kind of grace to others. To “elect” someone is to “choose” that person (e.g., electing a political candidate). Wayne Grudem, Systematic Theology, p. 670. The fact that Paul brings up these questions indicates that he’s talking about unconditional election, not conditional election (i.e., an election that is based on God’s foreknowledge of a person’s faith). The Bible doesn’t teach fatalism or that we’re like puppets/robots. Paul takes us back to the book of Exodus. In verse 15 he quotes Exodus 33:19. And in verse 17 he quotes Exodus 9:16. The book of Exodus tells us that God hardened Pharaoh’s heart (4:21; 7:3) and that Pharaoh hardened his own heart (8:15, 32; 9:34; 13:15). But it is not as though the word of God has failed (v. 6a). ROMANS 9-11 ISN’T EASY READING! We’ve now come to the most difficult section of Romans: chapters 9-11. Full disclosure: In these chapters, there are truths about God and his ways that I don’t completely understand. But, of course, the inability to understand something doesn’t make it untrue. For example, if a two-year-old child doesn’t understand how computers work, that doesn’t mean computers aren’t real. Paul writes, “I have great sorrow and unceasing anguish in my heart” (v. 2). Why? Because most Jews had rejected the gospel. And he says, “I could wish that I myself were accursed and cut off from Christ for the sake of my brothers, my kinsmen according to the flesh” (v. 3). In other words, Paul is willing to go to hell instead of his fellow Jews who had rejected the gospel. Paul lists several privileges that God had given to Israel (vv. 4-5). And notice the last privilege he mentions: “from their race, according to the flesh, is the Christ” (v. 5). “The Christ” (i.e., the Messiah)—Jesus—was born a Jew. And what does Paul say about Jesus? He says he is “God over all” (v. 5). When God—God the Son—took on humanity, he was born a Jew. But he was rejected by most Jews. “He was despised and rejected by men, a man of sorrows and acquainted with grief” (Isa. 53:3). DID GOD BREAK HIS PROMISES? “Romans 9-11 is not about Israel—it is about God.”  Israel’s unbelief leads to a question about God. God had made many promises to the people of Israel. For example, God promised, “I will be their [i.e., Israel’s] God, and they shall be my people” (Jer. 31:33). Who are the people of God today? The church, which is mostly made up of Gentiles. Did God break his promises to Israel? And if God broke his promises to Israel, will he do the same to us? What about the promises in Romans 8? Can God be trusted? Here’s Paul’s answer: “But it is not as though the word of God has failed” (v. 6). Paul writes, “For not all who are descended [physically] from Israel belong to [spiritual] Israel, and not all are [spiritual] children of Abraham because they are his [physical] offspring” (vv. 6-7). There are two Israels. There is a physical Israel, and there is a spiritual Israel (sometimes called a “remnant,” v. 27). Did God break his promises to Israel? No. God never promised to save every physical descendant of Abraham. Divine election shows us that God deserves all the glory for our salvation. John Stott writes, “If we were responsible for our own salvation, either in whole or even in part, we would be justified in singing our own praises and blowing our own trumpet in heaven. But such a thing is inconceivable.” Salvation is by God’s grace alone. Lest we get the impression that God is a cold Deity, that he just randomly chooses who will be saved (“Eeny, meeny, miny, moe….”), let’s consider how Jesus (God in human flesh) felt about Israel’s rejection of the Christ. “And when he drew near and saw the city, he wept over it, saying, ‘Would that you, even you, had known on the day the things that make for peace!” (Luke 19:41-42a). Paul says, “I would give up everything if Israel could be saved.” But that’s what Jesus actually did! A God who loves us this much will keep his promises. Our God can be trusted. Tim Keller points out that these privileges “should have prepared and pointed them to Christ” (Romans 8-16 for You, p. 49). Douglas J. Moo, Romans, p. 291. “Loved” and hated” in verse 13 refer to actions, not emotions. God chose Jacob and rejected Esau. It’s argued that Paul is not talking about individual salvation here, but isn’t he answering the question of why most Jews (individuals) rejected the gospel? John R. W. Stott, The Message of Romans, p. 268. Stott, The Message of Romans, p. 268. For I am sure that neither death nor life, nor angels nor rulers, nor things present nor things to come, nor powers, nor height nor depth, nor anything else in all creation, will be able to separate us from the love of God in Christ Jesus our Lord (vv. 38-39). I believe that 99.9% of brides and grooms are sincere when they make that promise. They truly believe that they can’t live without each other, that they’ll be together forever. But, sadly, less than 99.9% of marriages don’t last a lifetime. Marriages end for all sorts of reasons. Sometimes a marriage ends simply because the couple falls out of love. They just don’t love each other the way they once did. Love that is only an emotion is not real love. Real love causes a person to act. “God is love” (1 John 4:8, 16). God’s love is more than an emotion. God’s love causes God to act. “God so loved the world that he gave his only Son” (John 3:16). “God shows his love for us in that while we were still sinners, Christ died for us” (Rom. 5:8). God “did not spare his own Son but gave him up for us all” (Rom. 8:32). If you want to know what real love is, consider what God has done for us. To love is to give, to give help to those in need. Paul asks, “Who shall separate us from the love of Christ?” What’s the answer? Nobody! We can’t be separated from God’s love. But what about when we experience “tribulation, or distress, or persecution, or famine, or nakedness, or danger, or sword” (v. 35)? Does God use these things to show us that he doesn’t love us anymore? No. Most of these things Paul had already experienced in his own life. [Read 2 Corinthians 11:26-27; 12:10.] And his life would end by the “sword” (i.e., execution by beheading). Paul also quotes Psalm 44:22 (v. 36) to show that God’s people shouldn’t be surprised by suffering. Bad circumstances don’t tell us that God doesn’t love us anymore. Paul says, “No, in all these things [i.e., all these bad things] we are more than conquerors through him who loved us” (v. 27). We are “more than conquerors” because God can use the bad things in our lives to do something good for us. CAN WE SEPARATE OURSELVES FROM GOD’S LOVE? But can we choose to separate ourselves from God’s love? What if “tribulation,” etc. causes us to renounce our faith? Notice the phrase “anything else in all creation” (v. 39). “Paul is not only saying that Christ still loves believers when persecution arrives, although that is doubtless true. He is also saying that the love of Christ is so powerful that believers will not forsake him despite the sword, persecution, famine, and so on” (Thomas R. Schreiner, Romans, p. 466). The process of Romans 8:29-30 is an unbreakable process. What kind of effect should God’s love have on us? “Beloved, if God so loved us, we also ought to love one another” (1 John 4:11). “Let us not love in word or talk but in deed and in truth” (1 John 3:18). “Husbands, love your wives, as Christ love the church and gave himself up for her” (Eph. 5:25). Love is more than an emotion. To love is to act. To love is to help. To love is to give. To love is to be faithful. To love is to be like God. Who shall bring any charge against God’s elect? It is God who justifies. Who is to condemn? Christ Jesus is the one who died—more than that, who was raised—who is at the right hand of God, who indeed is interceding for us (vv. 33-34). Since God is on our side, it doesn’t matter who are enemies are. 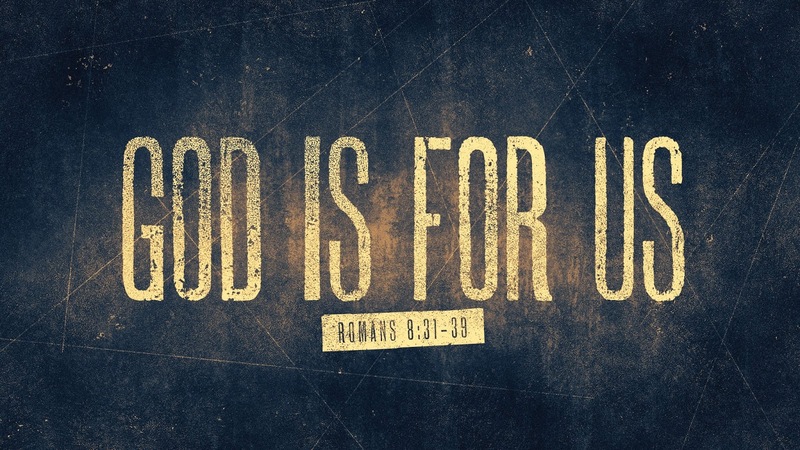 None of God’s plans for us will fail—especially his plan stated in verses 29-30! Our justification is by grace. It’s a gift received by faith in Christ. It’s undeserved. “There is therefore now no condemnation for those who are in Christ Jesus” (8:1). Paul asks two questions in verses 33 and 34: (1) “Who shall [successfully] bring any charge against God’s elect?” (2) “Who is to condemn?” These are rhetorical questions. Paul isn’t seeking information; he’s making a point. The answer is nobody! 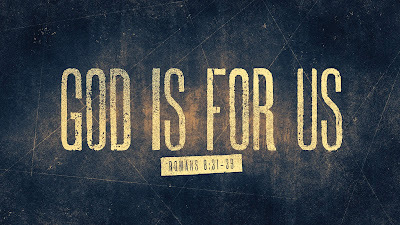 If God is for us, we will never be condemned. Paul says, “It is God who justifies.” He doesn’t focus on justification. Instead, he focuses on the God who justifies. There is no higher judge. There is no appeal that can overturn God’s verdict. Then Paul writes, “Christ Jesus is the one who died—more than that, who was raised—who is at the right hand of God, who indeed is interceding for us” (v. 34). It’s like Paul is piling on the reasons why we will never be condemned (“more than that”). Back in Romans 4:25, Paul said that Jesus “was delivered up for our trespasses and raised for our justification.” The very presence of Jesus in heaven assures us that all of our sin has been taken care of and we will never be condemned. The gospel—the message of justification by God’s grace through faith in Jesus Christ—is not just for those who have not yet believed. The gospel is for everyone. Believers need to hear the gospel. Back in Romans 1:15, Paul writes, “I am eager to preach the gospel to you also who are in Rome.” Who is Paul writing to? A few verses earlier, he tells his readers, “Your faith is proclaimed in all the world” (v. 8). Paul is writing to people in Rome who are believers—people who have already heard and believed the gospel. Why do believers need to hear the gospel? Because the gospel “is not just a call to initial saving faith but also a call to continue in a daily walk of faith” (ESV Study Bible). Paul mentions suffering earlier in Romans 8: “I consider that the sufferings of this present time are not worth comparing with the glory that is to be revealed to us” (v. 18). In times of suffering we need the gospel. We need to remember that God loves us—he’s “for us” (v. 31), he “did not spare his own Son but gave him up for us all” (v. 32). We need to remember that we will never be condemned because God—the one who loves us—is the one who justifies. We need to remember that God will never stop loving us. “[Nothing] will be able to separate us from the love of God in Christ Jesus our Lord” (v. 39). This is what the gospel tells us—those of us who have already believed. The gospel gives us peace and strength during times of suffering. The gospel is for everyone.